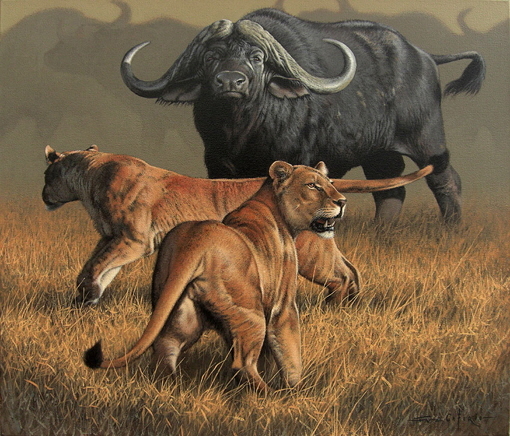 Please feel free to re-visit this page regularly as I’ll be updating it with new paintings, motivation and inspiration. 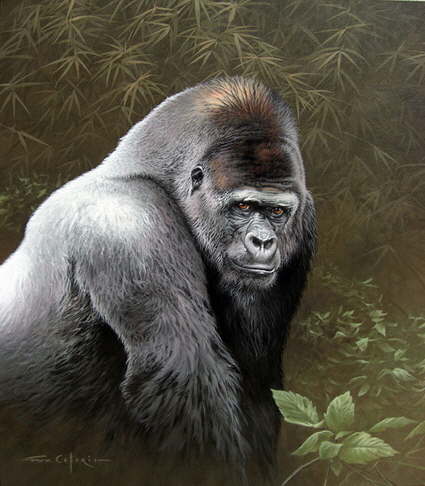 There’s something about the expression on this magnificent silverback’s face that speaks of profound sadness but also great intelligence. The Inuit name for polar bear. 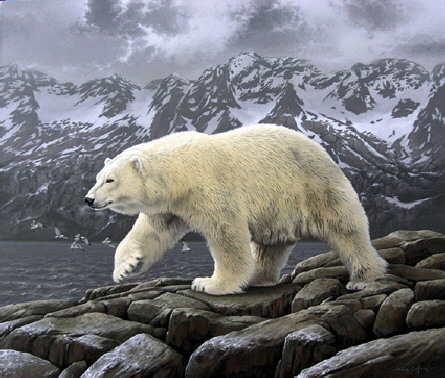 The season’s changing and this bear is ranging along the shoreline in search of a meal. 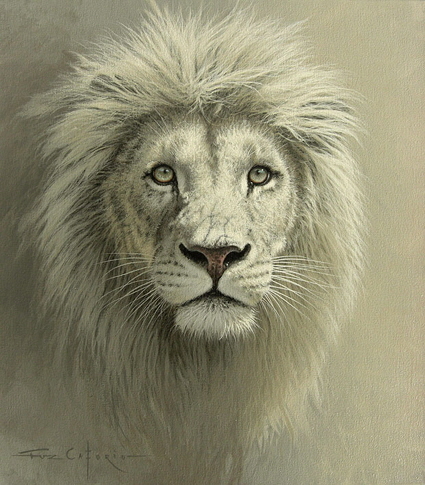 White lions are extremely rare, hence the title of this portrait. 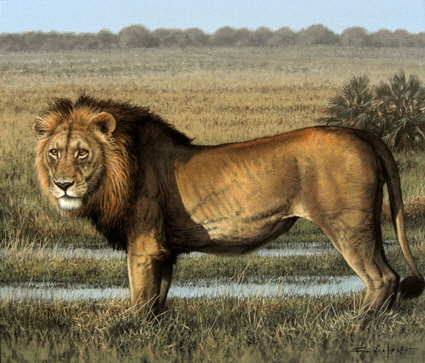 I really enjoy painting these lions in their swampy realm! 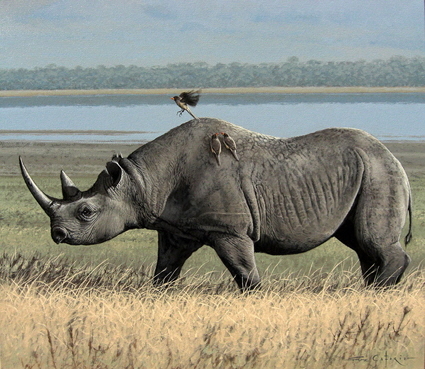 A black rhino accompanied by a trio of oxpeckers. 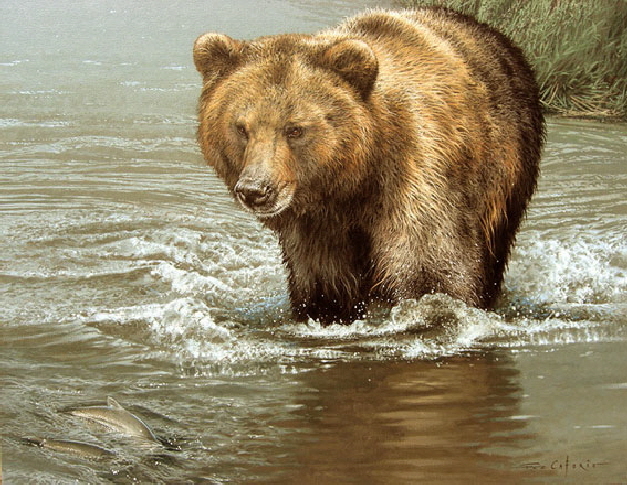 A brown bear fishing for salmon in Kamchatka, Russia.